If you've been following along the past week I've been posting pictures of the countertops we did in Home #10 that is in the Utah Valley Parade of Homes this year, built by EBuilders. 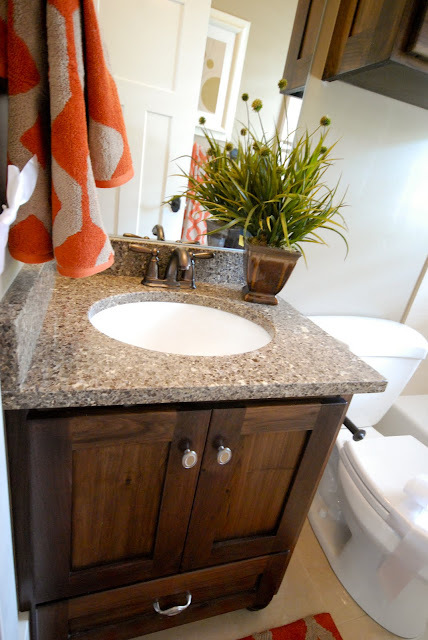 Today I'm showing the last areas, the Entry Bath, Kid's Bath, Common Bath and a Desk. The Entry Bath is Cambria quartz, the color is Halstead. The edge detail is a 1 1/4" Square Polish. Next we have the Kid's Bath. 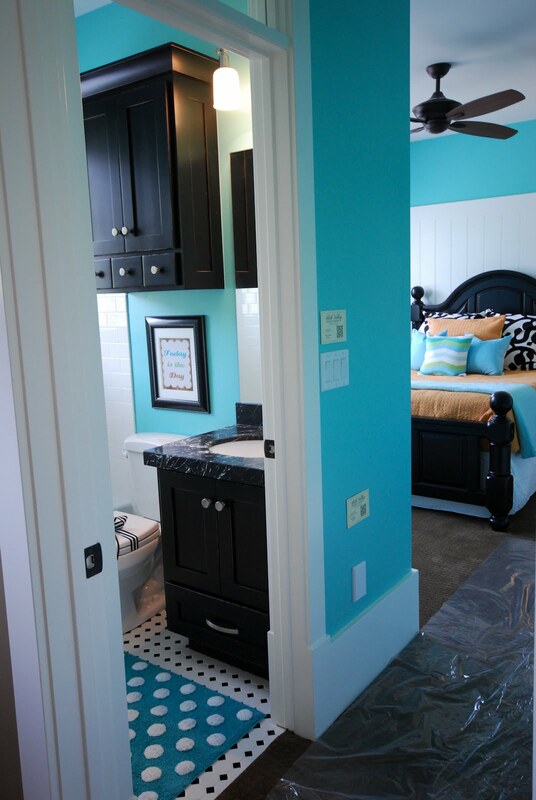 First you have to see how great this bedroom and bath look together from the hallway. Isn't it fun? 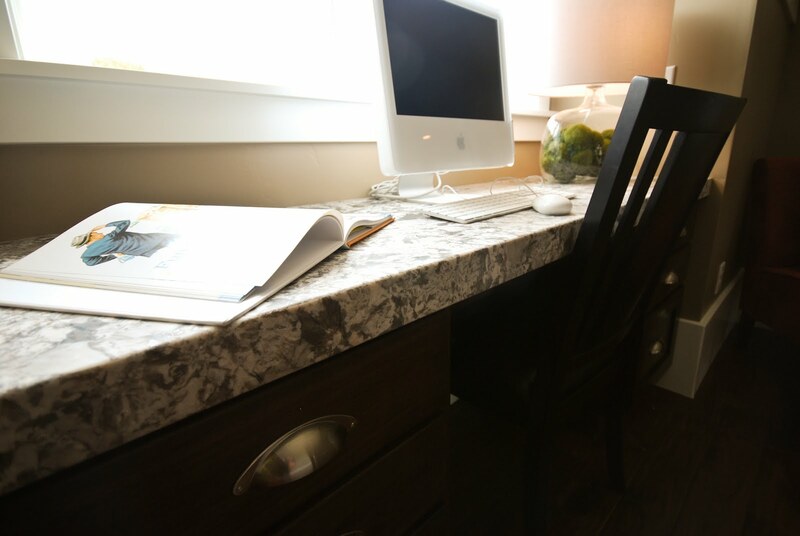 The countertop is Ice Black marble. It came polished, but we did a honed (matte) finish on it. I really like the look of this marble honed, having it honed will also help the etching not be so noticeable. The edge detail is a 2 1/4" Miter. 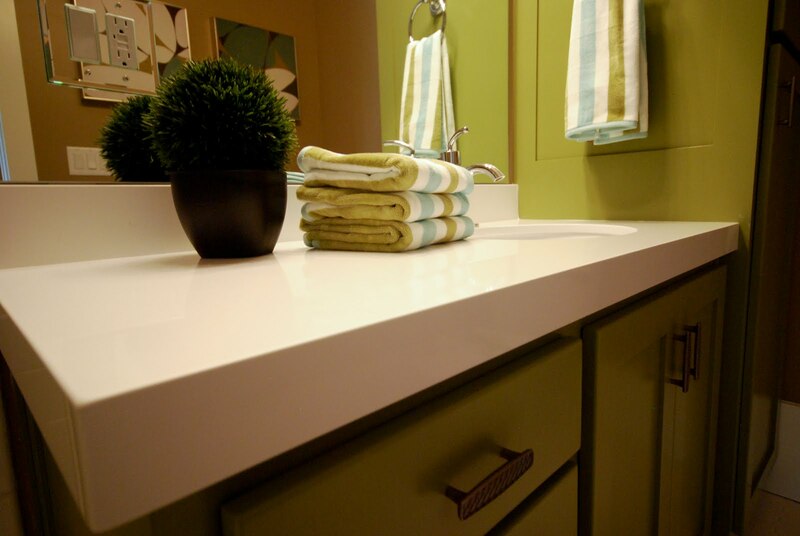 The Common Bath countertop is Compac quartz, the color is Absolute Blanc. The edge detail is a 2 1/4" Miter. 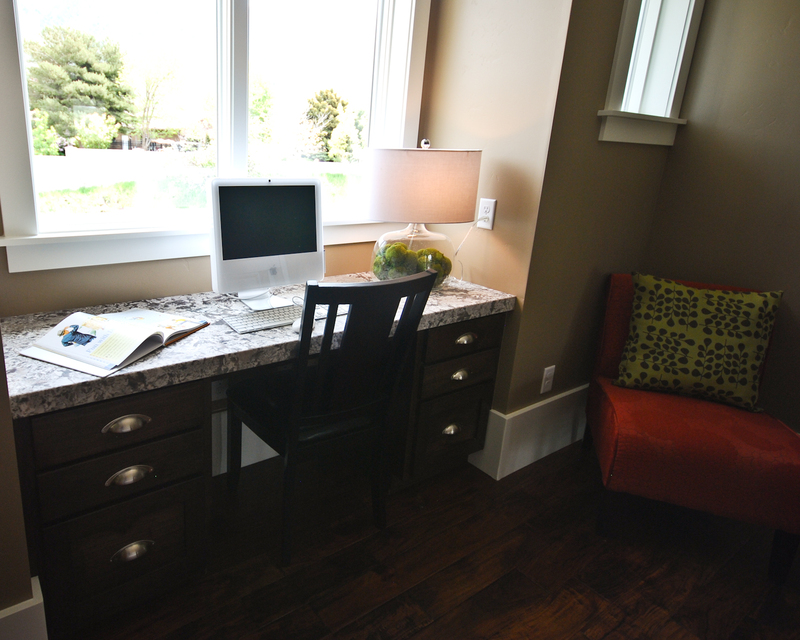 Last we have the Upstairs Desk. 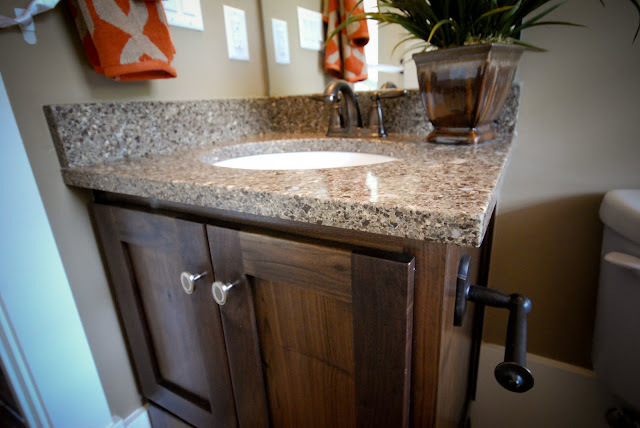 The homeowner loves the honed finish, so we honed the Bianco Antico granite, it looks awesome. The edge detail is a 2 1/4" Miter. We still have these slabs of Bianco Antico in stock if you like it! 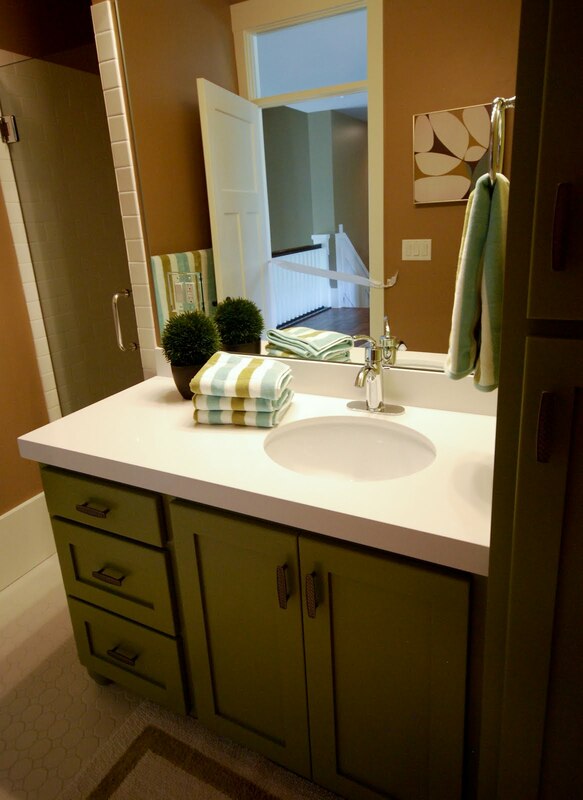 This is the last week of the Parade of Homes, so be sure to check it out! I'm using Halstead in my new house! I'm happy to see it here installed. 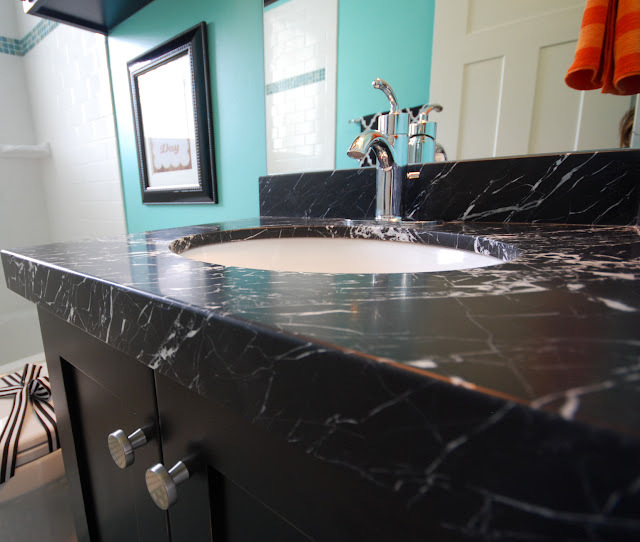 I love, love that black matte marble. That room is amazing.